BOYS! “I want green hair today mum” announced Tiger at the weekend. He’s seriously into Teen Titans Go and his favorite character is Beast Boy (a green superhero, with green hair, that turns into green animals!) I’m guessing this was his style inspiration. 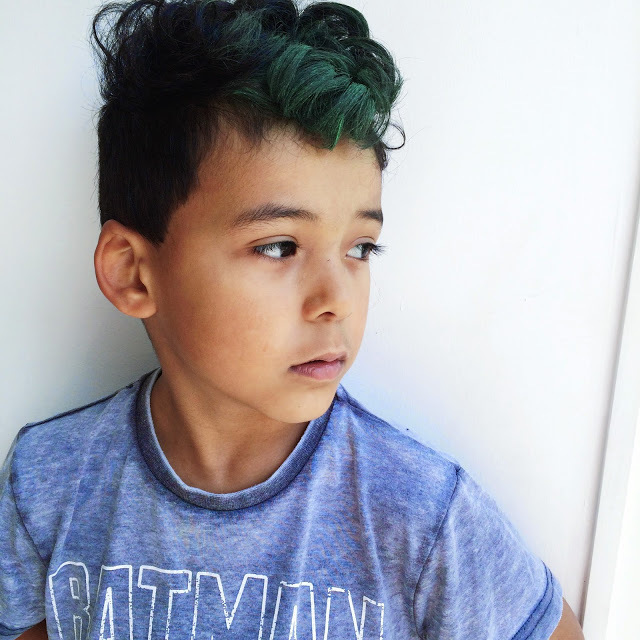 Hair chalk is really easy to apply, which is brilliant as although Tiger had the ingenious idea of green hair he wasn’t interested sitting around for ages while doing so! To apply all I had to while he fiddled around on the iPad was dampen the part of his hair we wanted to chalk dye green and rub the block of chalk to it, considering how dark and thick Tigers hair is it took pretty much within the first few strokes although we added a few more layers of chalk colour for a brighter green. 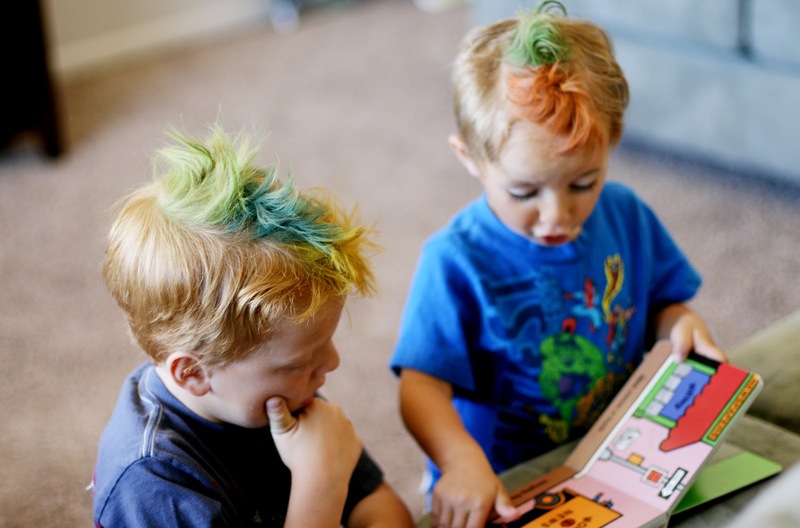 With the CRAZY HAIR chalks, boys can color their hair temporarily. These fantastic hair chalks are non-toxic and won’t damage the hair. 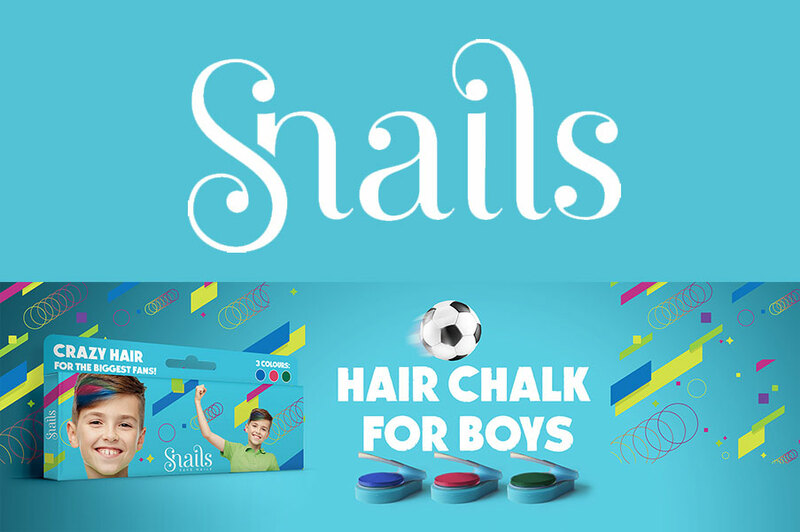 Absolutely perfect for kids, parties, FIFA football celebrations and more.